About a decade after the first Western mechanical clock was invented, Japanese inventor Hisashige Tanaka invented a sophisticated time coordination device called The Myriad Year Clock, also known as the Ten Thousand Year Self-Ringing Bell. This time piece of the later Edo period belongs to the category of Japanese clocks called Wadokei. This six-faced masterpiece can show time in seven ways – the usual time, the day of the week, the month, the Japanese time, the Solar term, and even the moon phase. It only needs to be wound once a year. The secret to the power reserve is four large mainsprings hidden inside the base of the clock, and wound by a crank inserted into the case. Standing 63cm high and weighing 38kg, the clock has over 1,000 separate parts to carry out all its complex functions. It is said that the parts were hammered and coiled by hand by Tanaka himself using simple tools such as files and saws. After all the parts were complete, it took more than three years to finish the assembly. 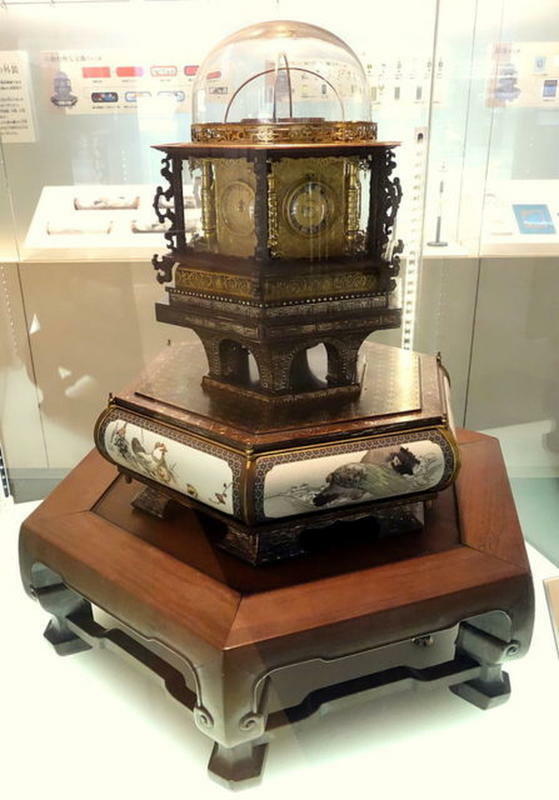 Several traditional Japanese carpentry techniques were used to decorate the clock in lavish style, like the covering most of the clock structure with tiny slice of mother of pearl and inlaying it into the black lacquer surface, a technique known as “raden”. In 2004, the Japanese government attempted to create a replica of Tanaka’s masterpiece for the Expo 2005 World’s Fair in Japan. It took more than 100 engineers over six months to build it, even with the latest modern technologies. They reverse-engineered every detail of the mechanism to determine how Tanaka fabricated the components. And even with that, certain components of the original could not be recreated exactly. For example, steel was substituted for the replica mainsprings as the original brass metal plate used as its spring was impossible to reproduce. 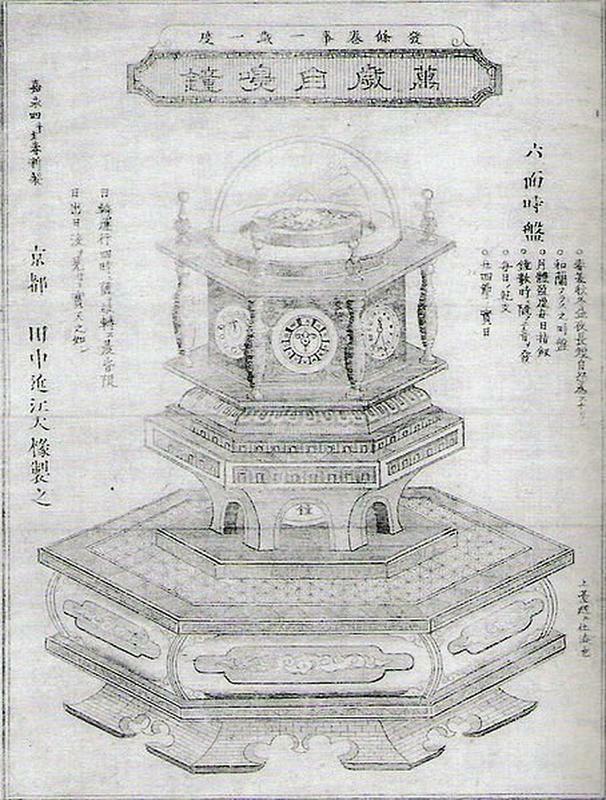 The clock, technologically comparable to contemporary Western clocks, was developed through a combination of Japanese ingenuity and study of Dutch sciences (“rangaku”), during Japan’s seclusion period. 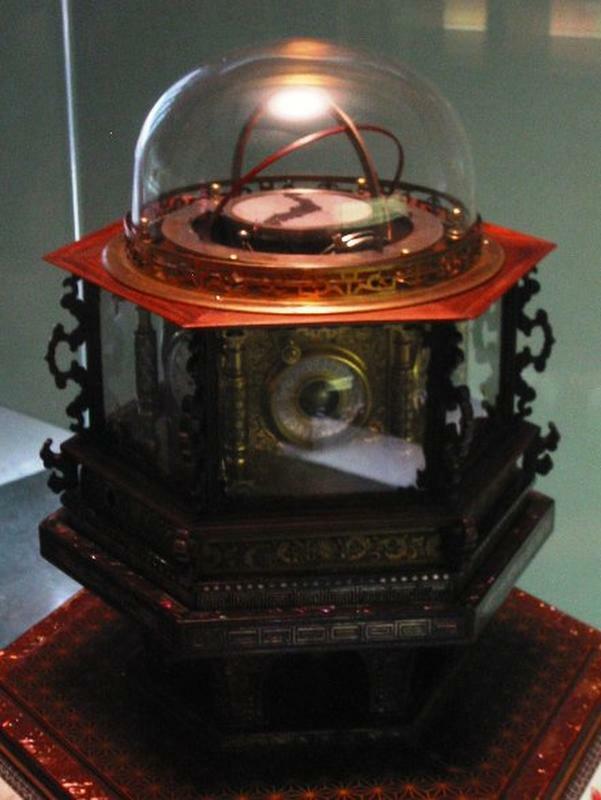 The original Myriad year clock is now owned by Toshiba Corporation and on permanent display at the National Museum of Nature and Science in Tokyo. 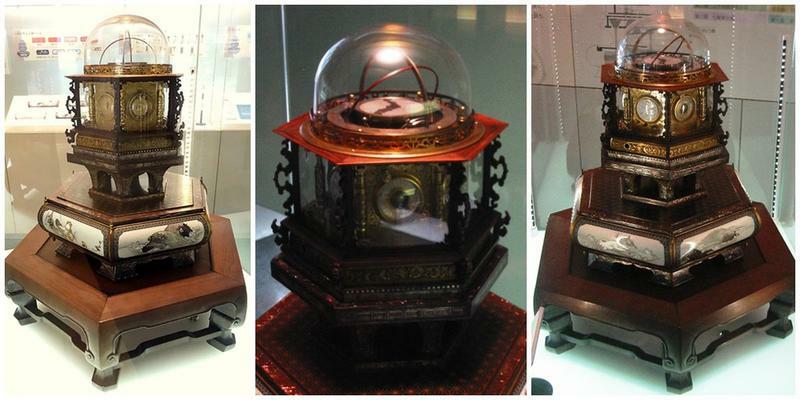 The replica of the clock is now on show at the Toshiba Science Museum in Kawasaki. 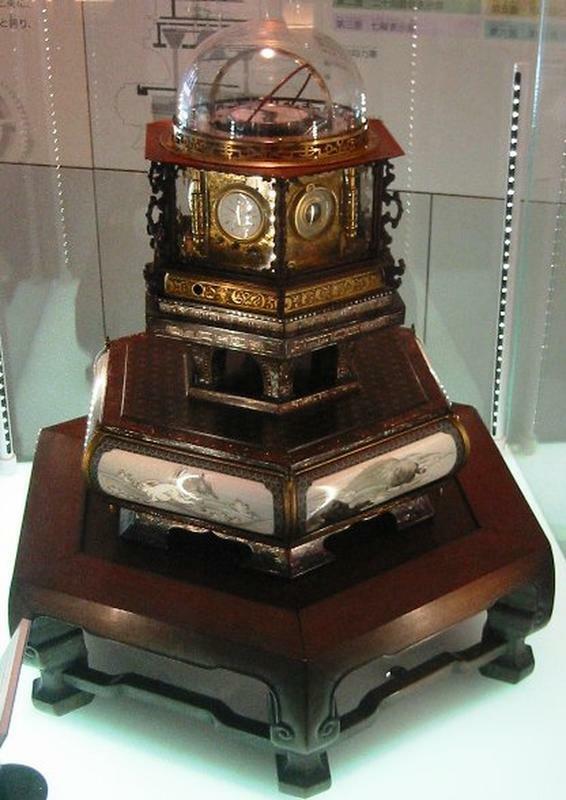 Tanaka produced a number of other ingenious mechanical timepieces, including the pillow clock and drum clock. He also created Japan’s first planetarium.